Home » What causes dark circles under your eyes? What causes dark circles under your eyes? “You look tired.” “Do you not sleep?” are just two of the many questions that at one time or another we are asked by well-doers referring to the dark shadows under our eyes. These dark circles can make us look older than we are and often make us self-conscious about the way we look and how we feel about ourselves. There is good news and bad news; the bad being that often, these dark, hollow, under-eye shadows that at times make us feel like a character from a Tim Burton movie, are an inherited trait. The good news is that there are remedies, both natural and medical, that can aid in helping us look fresh faced and more confident again. 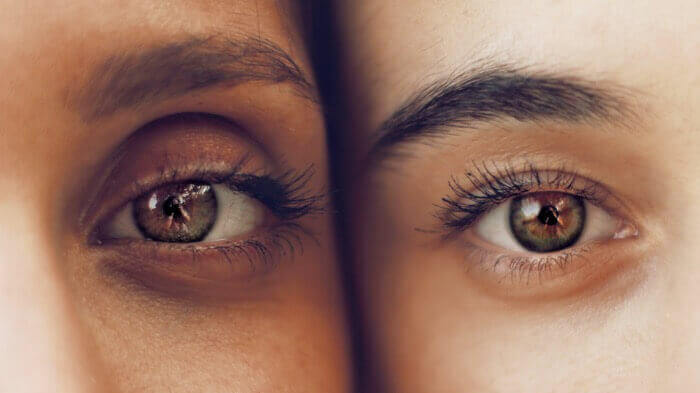 Although there is some truth in the more well-known notion that dark circles appear as a result of sleep deprivation, alcohol consumption, dehydration or exhaustion, there are many other possible reasons behind the appearance of dark circles. Sleep deprivation is thought of as the most common cause of dark circles and is the easiest to resolve, along with excess salt in the diet and mild iron deficiency. Unfortunately, living a city lifestyle can mean that making the small changes to reduce the appearance of dark circles is easier said than done. Excessive caffeine intake and smoking as stimulants during the day can lead to a lack of sleep at night which can worsen the appearance of the dark circles. There are many natural remedies known to be somewhat popular in combating the issue including the application of rose water, almond oil and castor oil on the skin around the eye to help thicken and lighten the skin. Other remedies which are likely to be found in one’s kitchen are raw tomatoes or teabags placed directly onto the under eye area. Ultimately, a good night’s sleep and plenty of water and decreasing alcohol and smoking habits are a solid way to ensure that the dark circles will only be temporary. However, even if you sleep eight hours a day and drink plenty of water, you may still find yourself with dark shadows under your eyes which could mean that it is an inherited trait and is likely due to a higher degree of melanin pigmentation or is a natural sign of the ageing process which we all go through eventually as skin begins to thin and we lose fat and collagen around the face! Other causes can be fat migration which can cause a tear trough to form. Although these are not particularly pleasant, there are medical skincare treatments that are very effective in managing and reducing the appearance of dark circles. Medical treatments that have been proven to effectively reduce the appearance of dark circles are becoming more popular. Among these is the tear trough treatment which involves the injection of soft fillers into the area safely and painlessly restore the area to a lighter more youthful appearance. The fillers are massaged into the area in order to provide a firm, more even appearance. Though the procedure is subtle, it lasts for 1-2 years and effects can be seen immediately. Can an Aesthetic Treatment Make you Feel Better? What is the perfect lip shape? How to fix a gummy smile? Situated in Central London where time is scarce & clients appreciate flexibility & efficiency. Harley Street Medical Doctors was established with the sole objective to help people improve their health, well-being & confidence. © 2004-2019 Harley Street MD | Aesthetics & Wellness in London | All rights reserved.